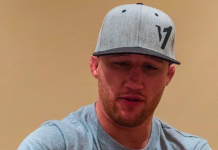 The highly anticipated lightweight title battle between interim champion, Tony Ferguson and Khabib Nurmagomedov was called off for the fourth time after Ferguson sustained a freak injury. This puts the two at 2-2 when pulling out of booked fights between them. This one might just not be meant to happen. So we must move on! 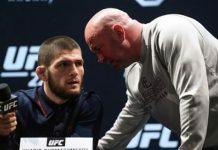 Khabib remains and looks to obtain the undisputed lightweight crown for the first time in his career and now standing in his way is the 145-pound champion, Max Holloway who looks to make some history on just a week’s notice. Always focused on his next opponent, Khabib still has plans for the future as he told the Outside the Cage Podcast who he wants after a presumed title win over Holloway. “Madison Square Garden, 155-pound belt, Georges St-Pierre. 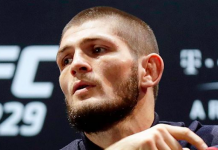 Khabib definitely isn’t shying away from any challenges! The former two-division champion, Georges St-Pierre last fought at UFC 217 in November when he defeated Michael Bisping to become the new middleweight champion. He vacated the title just a month later due to ulcerative colitis and is expected to be out for an unknown period of time. GSP has stated that he does still have interest in fighting though and obviously has the interest of others. 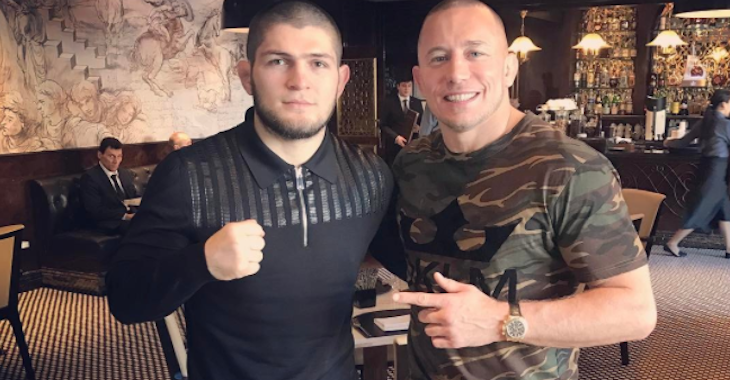 When Khabib was last mentioned to GSP, he had nothing but praise for the undefeated lightweight. 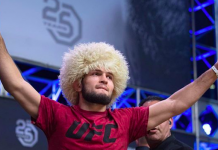 “I think actually one of the best pound-for-pound in the world, maybe the best pound-for-pound in the world is Khabib Nurmagomedov. I always said it. For me, he’s probably the best pound-for-pound. Unfortunately, I believe people don’t give him enough credit. Maybe because he’s not American, he’s not someone who talks a lot of trash like Conor McGregor, he’s someone who’s very respectful, he doesn’t make a lot of noise by talking. But the same thing, like I said before about me, is that the resume speaks by itself. You know, the guy’s undefeated, he beat everybody. I’m just sad that the fight with Ferguson didn’t happen because it would have been an amazing fight. Would you be interested in this potential super fight if Khabib comes out victorious this Saturday night at UFC 223? 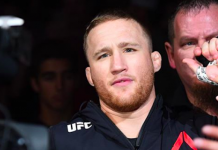 This article first appeared on BJPenn.com on 4/2/2018.